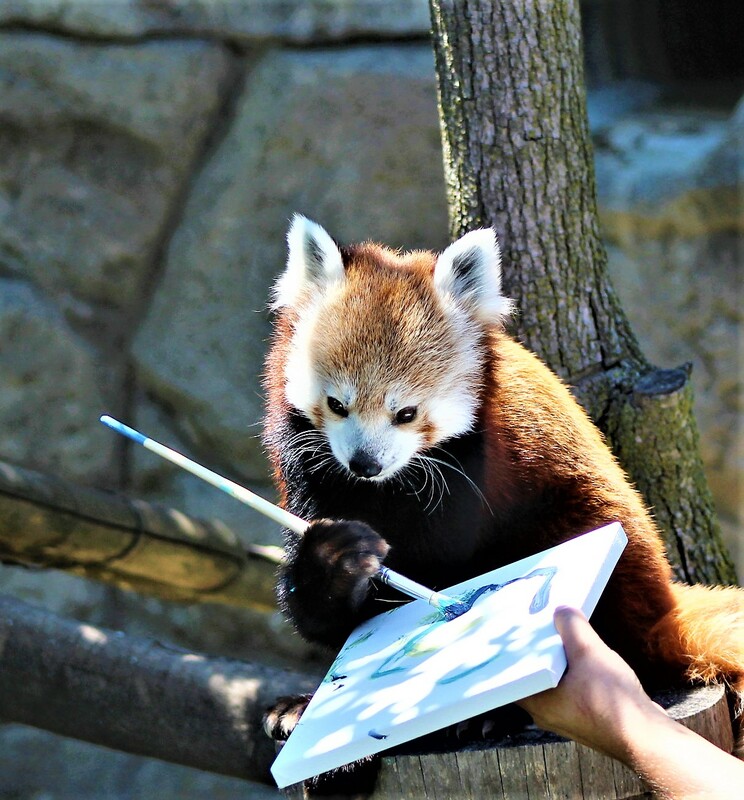 The Rosamond Gifford Zoo in Syracuse (N.Y.) invites to an art exhibition of 70 paintings made by animals of the zoo – including the Red Pandas. At the “Art Gone Wild!” on Friday, November 16 from 6 to 8 p.m. the little masterpieces will be sold and auctioned. One of the artists, Red Panda Basil will also contribute. The proceeds of “Art Gone Wild!” will benefit “Trees for You and Me”, a conservation program of the AAZK (American Association of Zoo Keepers), which plants trees in heavily deforested areas of the world to reduce the carbon buildup that causes climate change. Tickets for the event are available at Rosamond Gifford Zoo’s website. About AAZK’s Trees for You and Me campaign.